One of the most popular plants in Japan is now becoming sought-after in other parts of the world. The Marimo Moss Ball isn’t actually moss at all. Cladophora Aegagropila is a species of filamentous green algae that has three growth forms, including the popular sphere or “ball” shape, the free-floating filaments that form a carpet seen on the bottom of lakes, and the epilithic, which grow on rocks. In Japan, the marimo moss ball was declared a national treasure in 1921 and remains a cultural symbol of good luck. Natural marimos are found in certain lakes in Japan and some European countries. 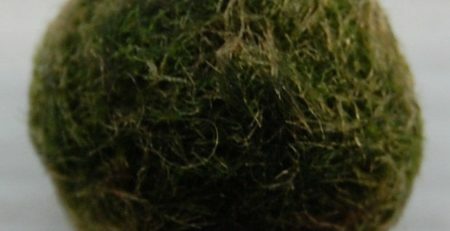 The marimo moss ball, or “ball seaweed,” is made up of small strings of algae that have a smooth velvet surface with a distinctly organized composition. These sphere-shaped marimos are known to only grow in Iceland, Estonia, Scotland, and Japan. 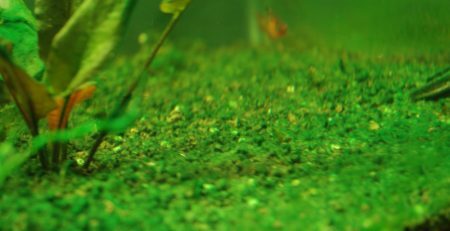 One of the most fascinating aspects of the marimo moss ball is the way it moves in water during the process of photosynthesis. The algae balls roll, sink, and rise to the top depending on the amount of light they receive. This dynamic presence is believed to be one reason for their popularity and why some people view them as pets or animals. Water currents and lake conditions determine the growth rate for a marimo. In their natural habitat, the currents are faster, and the process of self-cleaning is more complete. 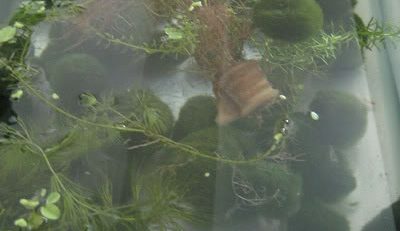 Waves in the water help the moss ball rid itself of detritus and debris. Typically, the marimos have a growth rate of approximately 5 mm annually. In Iceland and Japan, the lakes are especially conducive for healthy cultivation because of the strong currents, lake morphology, sedimentation, and light conditions. Moss balls in Lake Akan, Japan, can grow up to 20-30 cm per year. This is due to lake’s wind-induced currents and specific lake conditions. Marimos are also incredibly durable, living more than 100 years in some cases. Since an aquarium provides less water activity, the growth of a marimo will be slower and more limited. 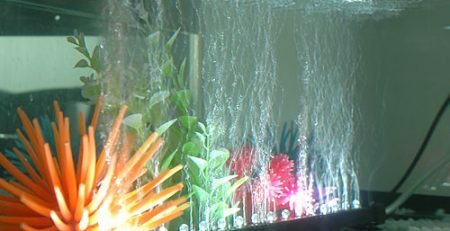 Aquarium enthusiasts appreciate how low maintenance they are with no need for fertilization or special lighting. All types of fish are able to live well with marimos. 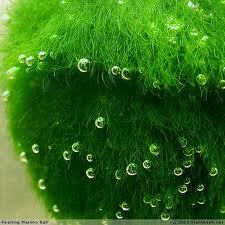 These moss balls are especially useful for algae control because they are more proactive than other algae. Marimos will absorb the same nutrients faster, which essentially starves the other algae. 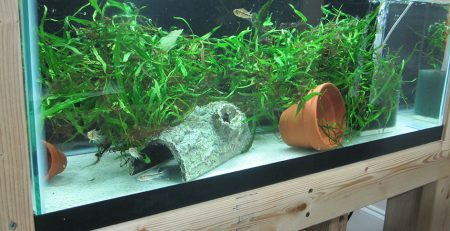 To encourage growth in an aquarium, it’s a good idea to occasionally move the marimos around in the tank. Every week or so, squeeze the water out of each moss ball by hand, then place them back in the aquarium. This will encourage proper circulation of nutrients and help mold their shape. 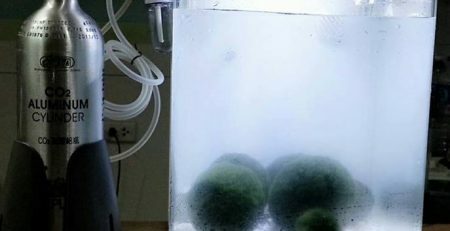 In addition, domestic marimo can be cultivated at room temperature in a simple glass of plain tap water with the same basic cleaning techniques mentioned above. Since the marimo is a national treasure in Japan, there is a conservation effort in place to leave all moss balls in their natural environment. 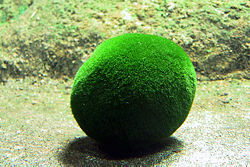 The shrinking population of marimo colonies in the last several decades have created a need for alternatives, such as artificial moss balls or substitute plants like java moss. It’s common to see artificial marimo in decorative jars and bottles in Japan instead of the real thing. A natural marimo forms a highly organized pattern of algae filaments. The density of the core is very low and doesn’t have a kernel. The filaments are lined up in a very structured way. In contrast, when artificial marimos are divided in the middle, they are more randomly intertwined in a less systematic way. There are no patterns or any elaborate sense of order. In their natural habitat, marimos break apart through the process of moving and settling. 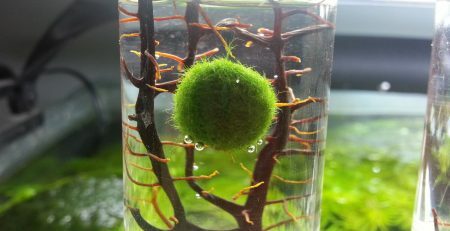 For people growing moss balls in tanks or jars, you can simply split off a small section of the moss ball to form another spheric shape by hand. Don’t split off too much or break away a large section of the marimo because that could impair the overall shape of the algae ball. The marimo moss ball is becoming more and more popular all around the globe. Even with the conservation effort in Japan, natural marimos are available online and at local pet stores. 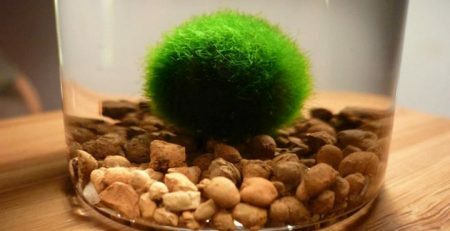 If you plan on purchasing a marimo, it’s important to remember the difference between a natural marimo and an artificial one, or a product being sold erroneously as marimo, such as java moss. The velvet surface and succinctly organized pattern of the marimo are undeniable.